While browsing through Amazon’s bestseller in Blender category yesterday, I noticed a blender that I never know before. 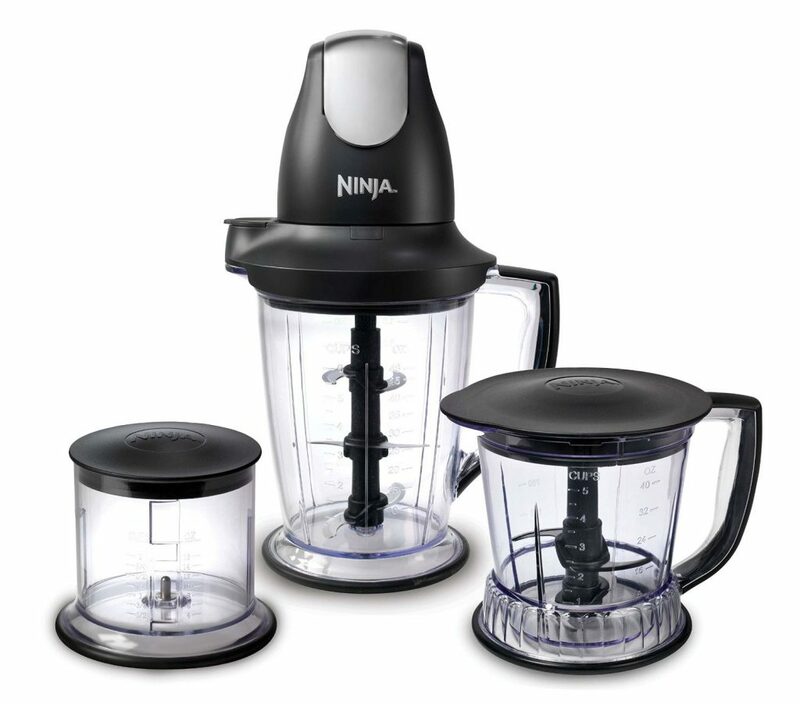 It is the Ninja Master Prep blender and is retailing at a very affordable price on Amazon. What piqued my interest is the huge amount of reviews of this blender on Amazon with good ratings. With such a low price and high amount of satisfactory customers, could this be a very good blender? Well, not really though. As I researched and continue to learn more about this blender, I learned that there is a reason why the blender is cheap. You’ll get what you pay for and the same applies to blenders. There is a good reason why that Vitamix Professional 750 costs over $500 and this blender costs way less than that. Anyway, let’s get on to my in-depth review of the Ninja Master Prep blender. The Ninja Master Prep comes with 4 different models to choose from. The Express Chop is just good for chopping and dicing your salsa. The 400 watts model (QB900B) is the blender with the lowest motor power at 400 watts. The 450 Watts model (QB1000) has a higher power motor. The professional model (QB1004) is basically the 450 watts model with an addition of a 40 oz pitcher/bowl. It does not deserve to be called professional at all. You would expect a higher power rated motor by a “professional” model to give better performance. Instead, the performance is the same with the 450 Watt model but you only get an additional pitcher (which you might not even use lol). Such a cheap marketing by Ninja here. What you will get with the Ninja Master Prep Professional package. Notice the middle blade shaft that is the same design with Ninja Blender Duo, it’s more expensive and better brother in the Ninja family. This blender comes with a unique power pod design. There is a shaft in the middle of the blender with blades around it. It looks kinda like the Ninja Blender Duo design. The shaft is pivoted at the bottom of the pitcher and connected to the pod at the top. The pod contains the motor unit to rotate the shaft blades. It looks quite interesting and very innovative for me. The whole assembly of the Ninja Master Prep does not take up much space and you can easily store it inside your cabinet. The professional model comes with three different pitchers: 48 oz, 40 oz and 16 oz. Each of these pitchers come with their own blade sets and are not interchangeable. In my opinion, the 40 oz pitcher is not needed at all and will just take up your storage space. Who needs a 40 oz pitcher when you have a 48 oz pitcher? I’m really perplexed on why Ninja does this. The Ninja Master Prep is quite easy to be used. First, set up the pitcher and attach the blade shaft. Then put all your ingredients inside with some water. Then attached the pitcher lid on top and secure the power pod on it, making sure to perfectly connect the pod with the blade shaft. To start blending, push down the chrome button on top of the power pod to activate the motor. You have to continuously push down the button while at the same time holding the pitcher to stabilize it using your other hand. It’s quite a hassle really. By the way, you can’t blend continuously for more than 15 seconds or the motor will fry. After 15 seconds, stop for a while, and then continue blending. This is very common with low-end blenders. They do not have a proper airflow to cool the motor properly. Like I said before, you get what you pay for. So how does the Ninja Master Prep’s performance in smoothie making? I’ve found the perfect video to show you the result of making a fruit and vegetable smoothie using this blender. 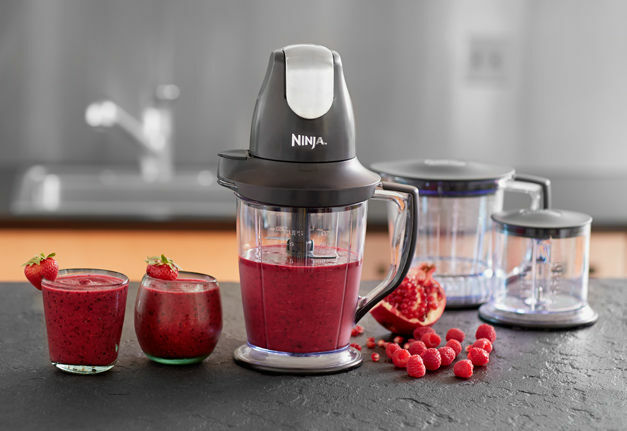 The video attached above is an attempt to make a smoothie using the Ninja Master Prep Professional. In the video, the lady owner tried to make a smoothie using some leafy green vegetables, mango and banana. The mango and banana are quite soft and easy to blend but those vegetables are very hard to be pulverized properly. 450 watts of motor power is definitely not enough to give a silky smoothie. As you can see in the video, operating the blender is a manual process. There is no automatic functions like other pricier blenders like the Blendtec Designer 625 or the Vitamix Professional Series 750. Instead, you have to pulse it a few times in the beginning to break down the ingredients, then blend it continuously yourselves. The result is less than satisfactory. There are obvious chunks in the smoothie that you can notice on the blender’s wall. You can also see lots of chunks when the lady is pouring the smoothie into her glass. I can tell you this, those chunks will not be present if a higher powered blender is used instead. The low power of the Ninja Master Prep is definitely not sufficient for the hard task of making a vegetable smoothie. I’ve embed a video below showing how a Vitamix Professional 750 make a green smoothie as a comparison. A video showing the Vitamix Professional 750 in action. Notice how smooth the smoothie is. It is definitely much smoother compared to what the Ninja Master Prep produces in the video above. 4- Only suitable for easier tasks e.g whipping cream, salsa, some ice blended drinks,etc. I’ve compiled some pros and cons of the Ninja Master Prep and listed them above. As you can see, the disadvantages of this blender is quite major and critical. The blender does not pulverize all its ingredients fully. What you will get is just lumps of chopped fruits and vegetables in water. Not to mention the difficulty in using it since it does not have automatic function and you have to hold it in it’s place. For it affordable price, this is the quality of blender that you will get. It is worth it’s price tag? Depends. It’s not too bad as you can use it for making some ice blended drinks, salsa, and others. You can also make some green smoothie but with a sub-par quality. Still drinkable but you have to sip and chew it. But if you are looking for a really good blender to make you that silky smooth smoothie (regardless of what ingredients you put into it), then the Ninja Master Prep is not enough for you. Those are some of the best blenders to be used for a fruit and vegetable smoothie. Those machines will pulverize the vegetables and fruits into silky smooth liquid, and give you the perfect healthy and nutritious smoothie that your body needs. Not only that, most of the high end blenders can also make lots of stuffs too such as making nut butter, sorbet, and even hot soup! These are what you will get by paying that premium price. If you have any thoughts about the Ninja Master Prep, feel free to throw it in the comments section below. I would welcome any opinions and thoughts on this blender. Next Post: Cleanblend Commercial Blender Review – A Cheaper Vitamix 5200 Clone?